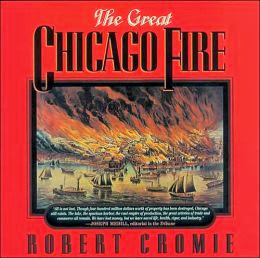 Please join us at the West Town Branch at 6:30pm Tuesday, Dec. 3 as we discuss the classic work “The Great Chicago Fire” by Robert Cromie. The Chicago History Book Club explores the city’s history through reading and discussing books on events, themes, time periods and personalities that have contributed to making Chicago what it is today. If you cannot join us, stop by at 1625 W. Chicago Ave. to pick up our next book, the bestselling “The Devil in the White City: Murder, Magic, and Madness at the Fair that Changed America” by Erik Larson. Please join us at the West Town Branch on Thursday, Dec. 5 for a 6:30pm screening of the new film “Chicago Drawbridges” followed by a Q&A with the filmmakers. 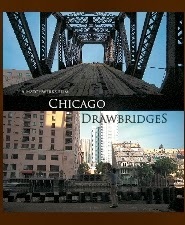 “Chicago Drawbridges” is a documentary directed by Stephen Hatch and narrated by Patrick McBriarty, author and bridge historian, chronicling the importance of bridges in the making of the Windy City, from the first wood footbridge, built by a tavern owner in 1832, to today’s iconic structures spanning the Chicago River. This informative and entertaining 56-minute film tells the story of Chicago’s development through the bridges based on the recently published book “Chicago River Bridges” from the University of Illinois Press. Please join us at the West Town Branch for an information session on the Affordable Care Act. There will be two opportunities to attend: 1pm Saturday, Dec. 7 or 6pm Tuesday, Dec. 10. The presentation will include an overview of the ACA and Get Covered Illinois. There will be a Q&A, then individual enrollment assistance for anyone that would like to stay and receive help. This program is presented by Heartland Heath Centers, an affiliate of the Heartland Alliance for Human Needs & Human Rights. If you haven’t yet mailed out holiday cards, don’t fret. The Letter Writers Alliance will hold a workshop at the branch at 6:30pm Dec. 12 to assist you in sending out holiday joy. Crafters at all levels are invited to join us in making creative holiday greetings. Materials are supplied and we'll show you how to use them, so expect to leave with a handful of cards ready to write and mail. No need to bring anything besides yourself and some creativity. Registration is required; please drop by or call 312-743-0450. Join us on Tuesday, Dec. 17 for a hands-on workshop at 7pm on spice production and use led by expert Steven Tobiason, owner of Epic Spices, 1725 W. Chicago Ave. In this workshop, Tobiason will discuss the blending and use of mulling spice for the creation of mulled wines, ciders, and holiday drinks, and will answer any spice-related questions. All skill levels are invited to this event. Materials and spices are supplied, and you’ll get to take home your creations and some samples just in time for your holiday celebrations. Registration is required, so please call 312-743-0450 or drop by to sign up.